Please inform me that I can’t play insted of wasting my time! 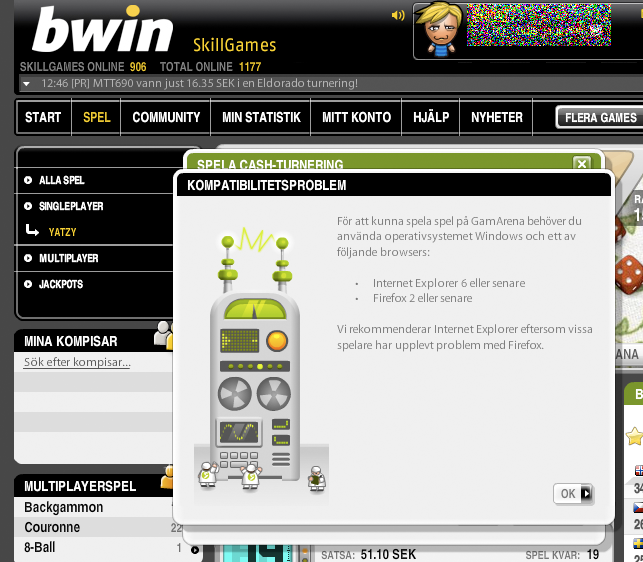 Image 1. bwin’s (this used to be linked bwin.com but bwin.party asked me to remove the link) skill games site provided by Jadestone. And that is when I have logged in to the site, looked around for a while and only get the error message once I try to start a game. That is lousy player experience! It would be much more fair if they earlier would tell me that I can’t play on the site. It will probably be a while before I go back and try out GamArena by Jadestone. The site looked really good and I was very eager to play. Too bad I couldn’t!